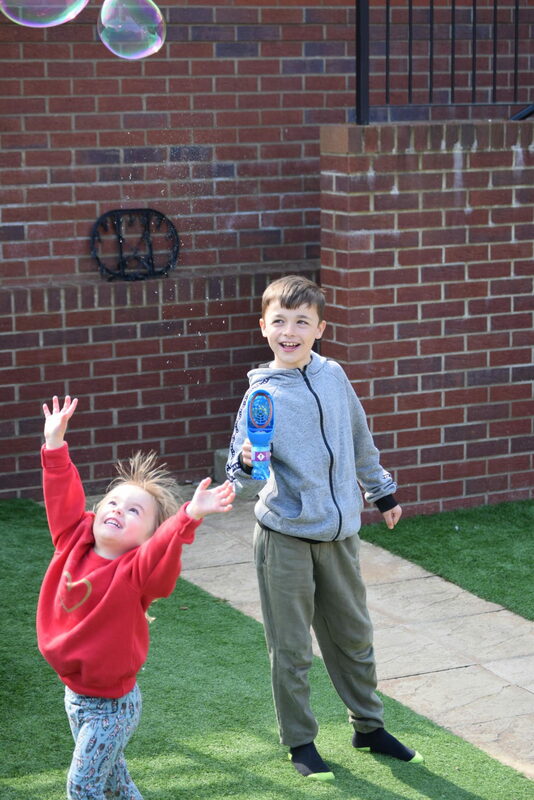 With summer fast approaching, and the weather set to be warm this Easter, I have been on the lookout for some garden toys and activities to keep the kids busy. 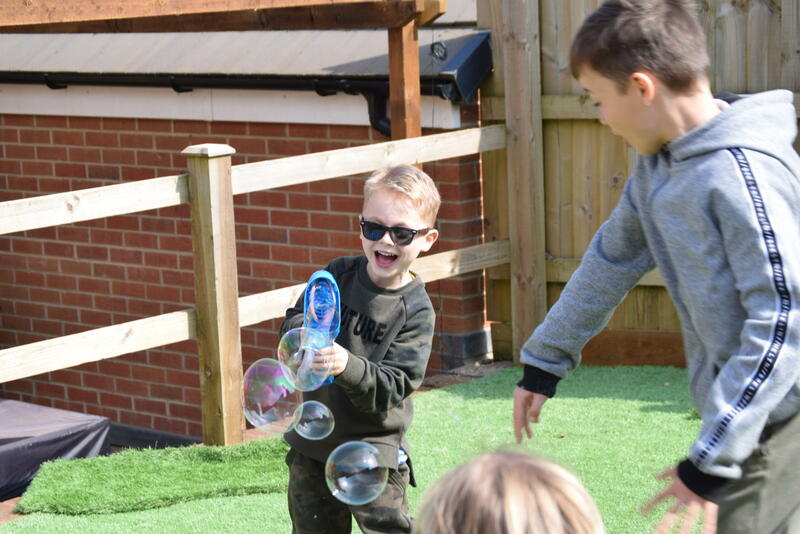 We were recently sent some goodies from Gazillion Bubbles to try out, and we have been lucky enough to see some sunshine over the last week, so it was the perfect time to try them out! 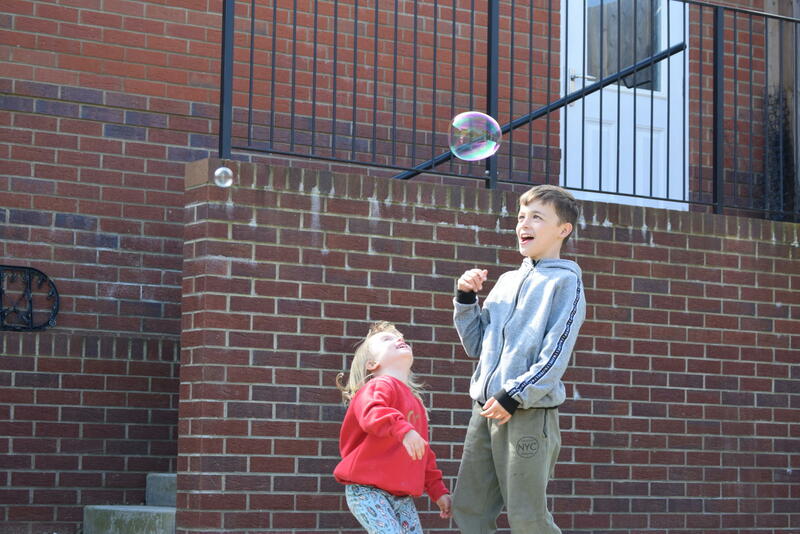 Gazillion Bubbles give kids the ultimate bubble experience. 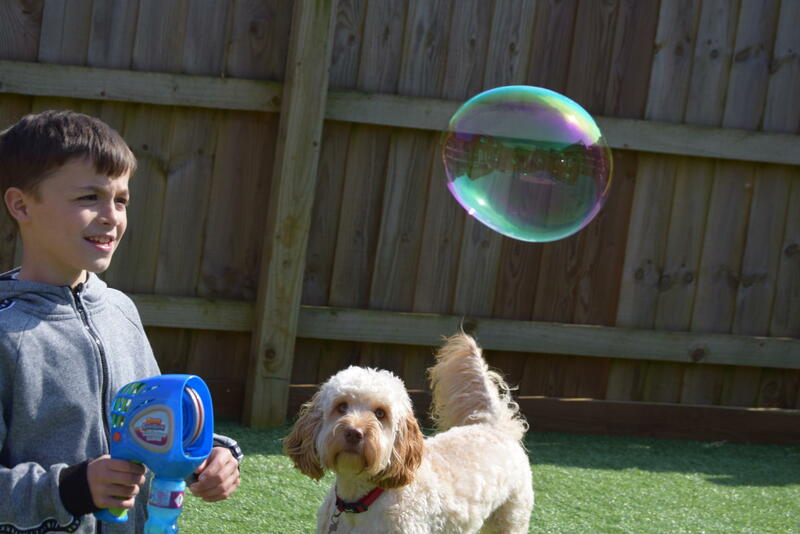 The special formula used to create Gazillion Bubbles solution has been shown to create bigger, more plentiful bubbles, and for 2019 the experience gets even better with new additions to the range! 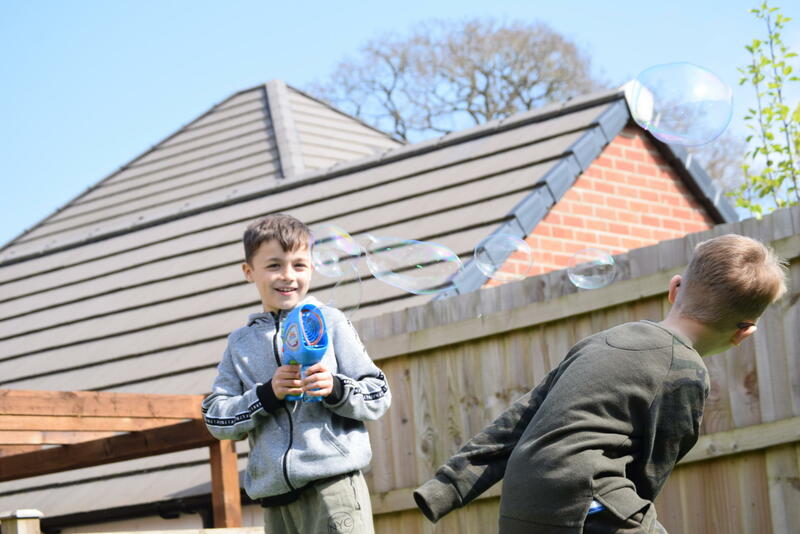 The first product we tried out was the Gazillion Bubble Rush. This is a revolutionary new design, ideal for those days when the kids need to run off some energy. 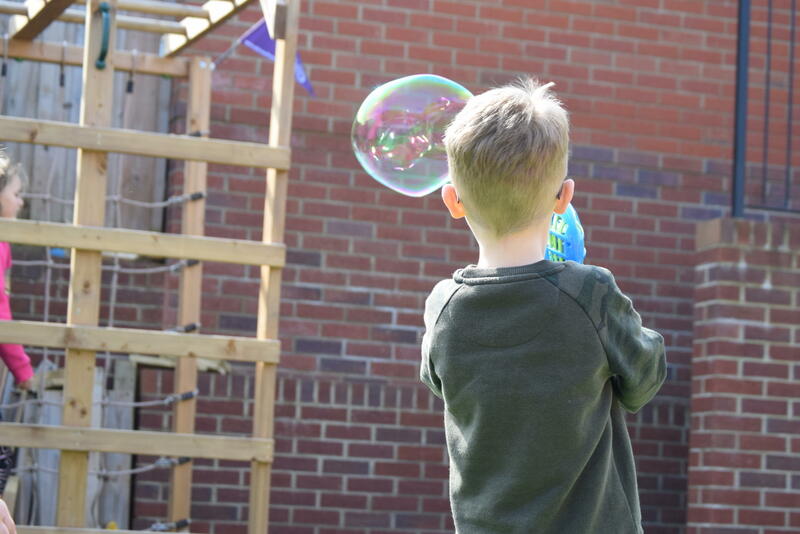 The high-powered bubble machine blows a huge amount of bubbles in a short space of time, and features a three- sectioned no-spill modular design. 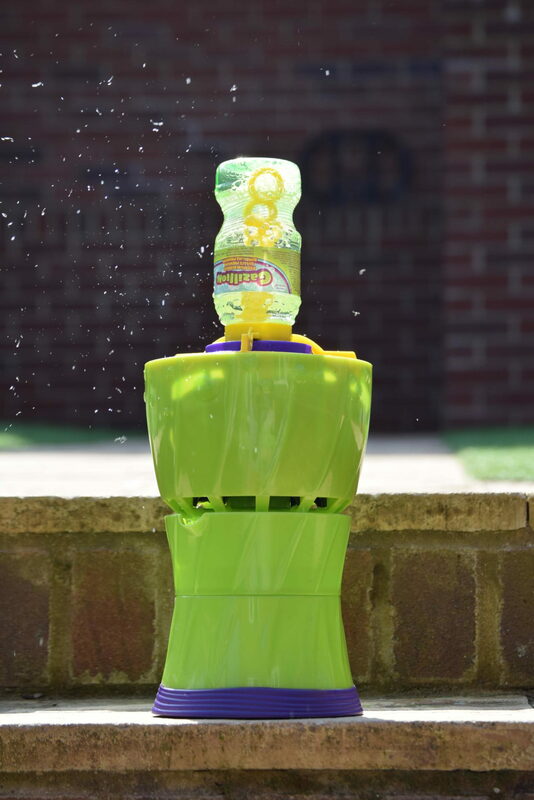 You simply pour the solution into the reservoir and push the button for a bubble explosion in seconds; and if you try this on a day with a slight breeze, you can fill the garden with bubbles in no time at all! The Gazillion Bubble Rush includes an 8 oz bottle of Gazillion Premium Bubbles solution. We found the Bubble Rush easy and quick to set up, and I loved the fact that it comes apart for cleaning. It does only seem to work with Gazillion bubble solution though, so do bear that in mind when purchasing. 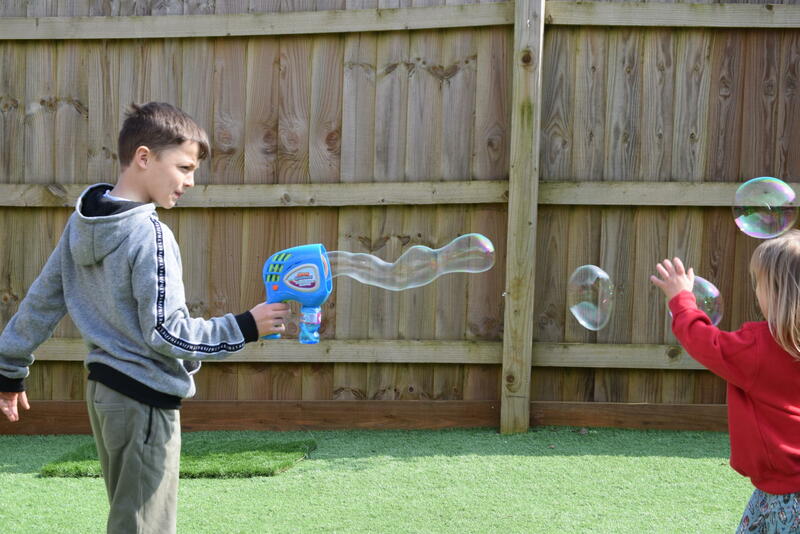 We were also sent the Gazillion Megabubble Blaster, which was a massive hit with all 4 children. The Megabubble Blaster looks like a water gun, but actually shoots out the most magnificent, giant 6” bubbles at the push of a button. 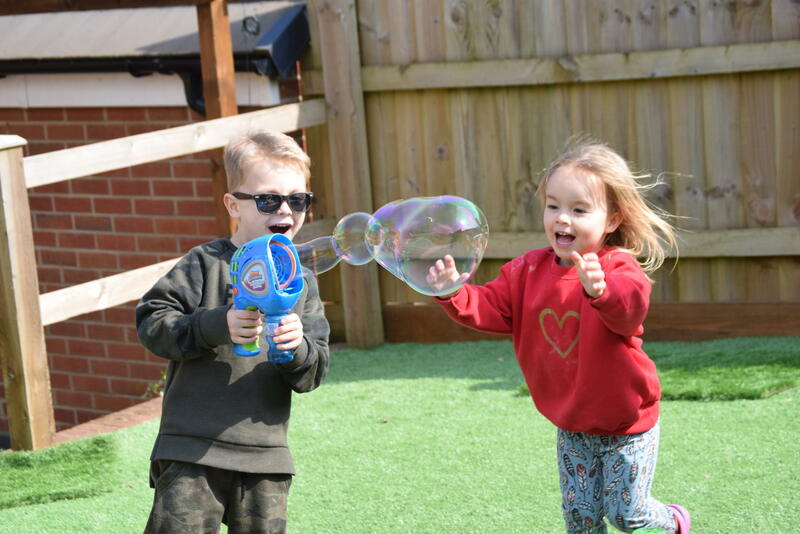 Jacob and Max had several competitions to see who could create the biggest bubble, and Eliza loved watching them, and then chasing the bubbles around the garden.To get going, you simply screw in the included Giant solution and you’re ready to blast! The Gazillion Megabubble Blaster includes a 4 oz bottle of Gazillion Premium Bubbles solution. This is the only solution that should be used with the blaster, in order to create the larger bubbles, so again, do bear that in mind when purchasing. 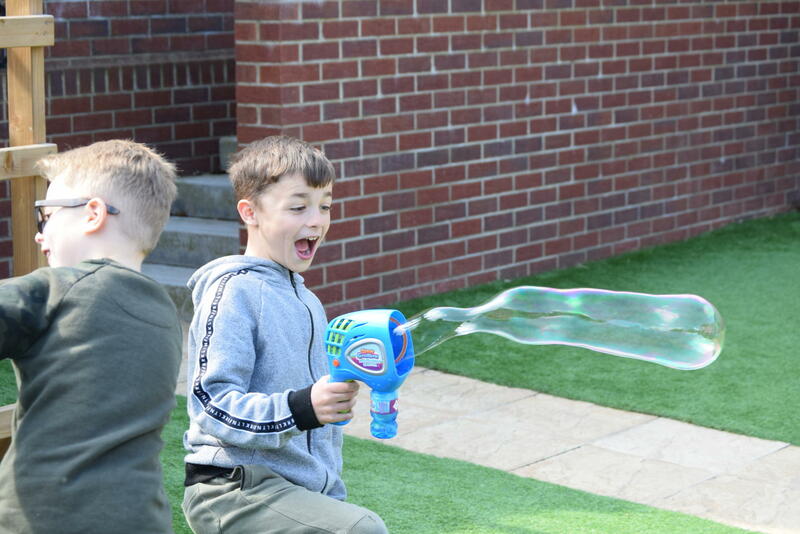 Gazillion bubbles are premium bubbles, so although they cost slightly more than your standard bubble mixture, you can definitely see the difference, especially when using the blaster. Bubble solution refills come in 8oz, 2L and 4L bottles in both regular (green) and giant bubble (blue) formulas, and are available from large retailers including Argos, Tesco and Amazon. 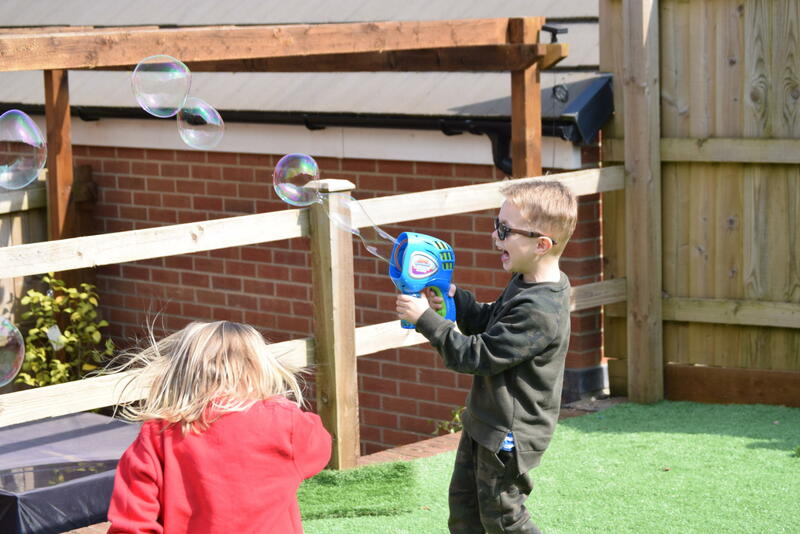 The Gazillion bubble range has been a real hit here already, and the kids have loved trying a new way of bubble blowing. 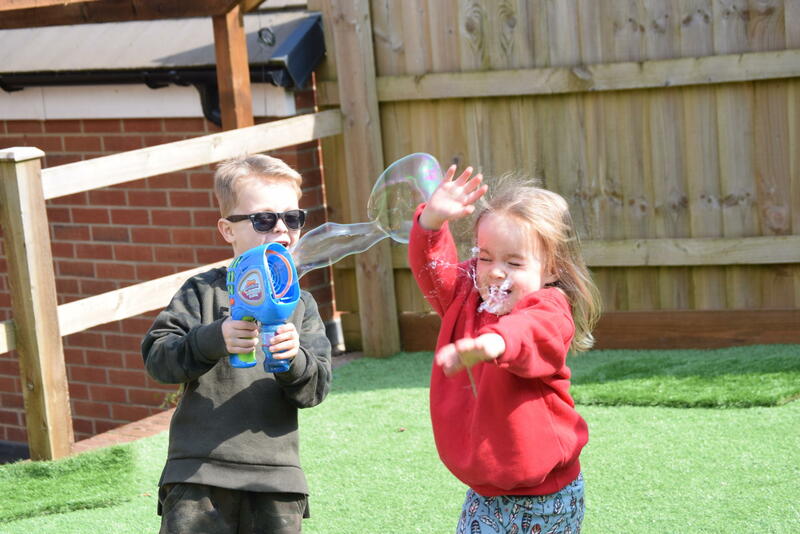 We will definitely be stocking up on some more solution in time for the summer holidays, and plan to take the blaster on holiday with us next month – I think the kids will be popular on the campsite!